Steve Earle has been of my favorite songwriters for a very long time – I pretty much own all of his albums, starting with Guitar Town. Funnily, two of the three original albums included in this fine, if slightly pricey, box set weren’t among them – his 1996 album I Feel Alright and its follow-up El Corazon. The third one though, Train A Comin’ has probably been my 2nd favorite Earle album after Copperhead Road. Earle himself claims that El Corazon and Train A Comin’ are better records than Copperhead Road in the short interview printed and opening, the 30+ pages booklet which also includes the lyrics of the studio albums featured here. It also features extensive liner notes by The Wire creator David Simon. Earle acted on a couple of episodes and his song I Feel Alright was used in one episode. His version of Way Down In the Whole was also used as the opening tune in Season 5 (which I wasn’t aware of before, as I am still watching season 4 at the moment). His connection with The Wire is probably befitting his life story, as he was incarcerated on drugs charges and all the material on The Warner Bros Years stems from the period of the first few years after he was released from jail. Also included is a previously unissued live recording from December 1995 on CD, and a DVD with a live concert recorded as part of his parole arrangement (apparently it was recorded for MTV, which shows in the style it’s made). As I said, Train A Comin’ is very dear to me, so I’ll probably write about that some time in the future, but for now I will start with El Corazon. As I wrote before, for some reason I can’t remember, El Corazon previously passed me by. 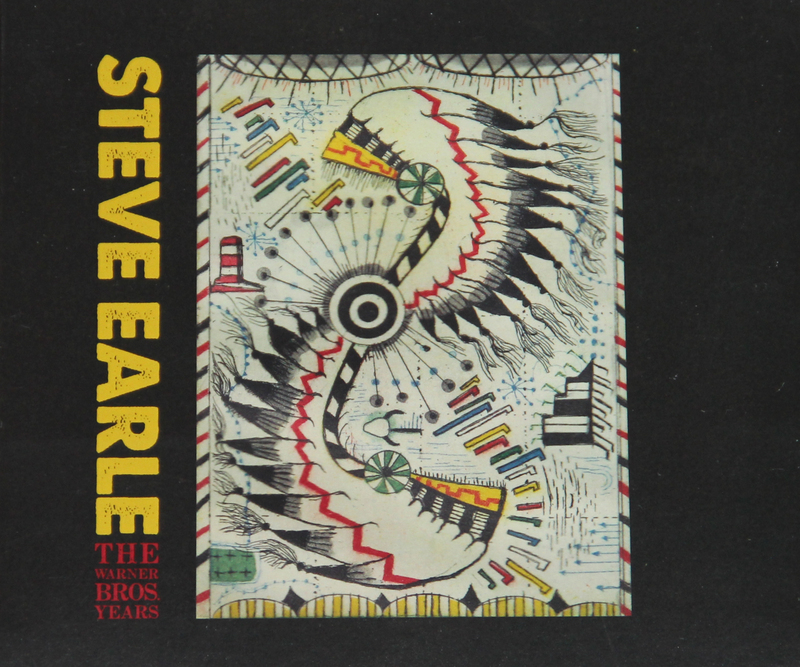 However, after discovering the lovely video of a live performance by Steve Earle and Emmylou Harris (see my previous post) of Ft. Worth Blues, a song I immediately loved and that was so far unbeknownst to me, I decided to check that out and found out about the recently released box set. Emmylou Harris’ voice is sadly missing from the Ft. Worth Blues version on here (she guests on Taneytown though), but it’s still one of the very best songs he’s ever written and recorded – a lovely, touching ballad and ode to Townes Van Zandt (he also named his son Justin Townes Earle after him). It’s closing the album and the equally wonderful, slow and gentle ballad Christmas In Washington are bookending the album rather nicely, which is also appropriate as the rest of the tracks stray pretty far from that direction musically. Where Ft. Worth Blues is intensely personal, the lyrics of Christmas In Washington are quite a bit more political, they are concerned with the presidential elections in 1996 and a chorus wishing for the return of Woody Guthrie and others fighting for the good in society such as Cisco Houston and Martin Luther King – a hymn for the good in people wherever they live and whatever the circumstances. As hinted at above, the rest of the 12 tracks on the album are stylistically quite different from each other – starting with 2nd track Taneytown, almost possessing Neil Young & Crazy Horse qualities, slow burning and hard rocking at the same time, though not as extreme in length and intensity perhaps. If You Fall is a mid-tempo Country-Rock song, not particularly exciting or one of the best songs on here maybe, but a good song nevertheless. I Still Carry You Around offers yet another direction, it’s recorded with the Del McCoury band, who were later to accompany him on a whole album, the brilliant The Mountain. So, as you can probably imagine, it’s an up-tempo and good-natured Bluegrass-romp. Telephone Road is a very-catchy Folk/Country-Rock song featuring some nice background vocals by the Fairfield Four and a Saxophone (not that often heard on an Steve Earle album), it’s slightly unusual (for his standards) but highly effective. Somewhere Out There reminds me a little bit of his earliest work on Guitar Town and Exit O, mixed with some 60’s Power-Pop (the background vocals and the ringing guitars), which I like a lot. You Know The Rest and especially N.Y.C. are the both good time tracks – the first one with a distinctive Country-bent, and the latter featuring the hard-rocking The Supersuckers, a welcome return to the sounds of Copperhead Road – (not-so-clean perhaps) good fun. Country-Punk track – I love the uhhhh and ahhhh backing vocals. Great stuff. 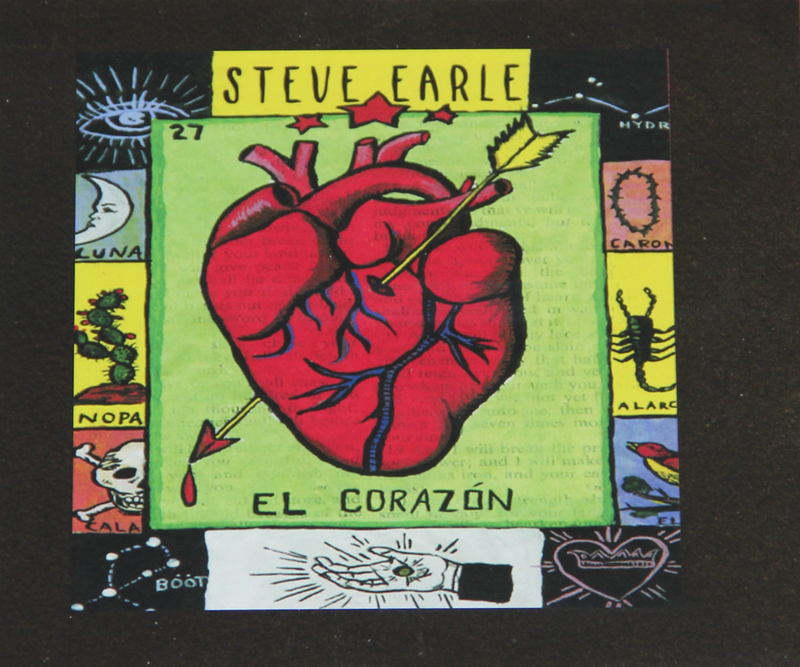 So, while I might not totally agree with Earle’s statement that El Corazon is the better album compared with Copperhead Road, I have to agree that it’s definitely a return to form, and has to be counted as one of his best, and that’s saying something. This entry was posted in Music and tagged Roots rock, Alternative Country, Bluegrass, Country, Music, Nashville, Steve Earle, The Wire. Bookmark the permalink. I haven’t listened to El Corazon in years – I’ll have to dig it out . Yes, do, it’s definitely worth your time. Thanks for the feedback! I found this by putting “blues” into your internal search function. I do like Steve Earle, I saw him in Santa Fe. I might have caught some of his act in SF, HSB. There’s an interesting Steve Earle chestnut on the David Byrne “Imelda Marcos” tribute. I think it’s written from the perspective of young Ferdinand Marcos perhaps before he was corrupted, wanting to protect his creed and land from outsiders. And since i entered Jay’s blog via Sherman Alexie, I wonder about the artwork on this Shout Factory release. Is it real native maerican or tribute? If you permit me one more perhaps gratuitous asides, the fonder of Shout Factory, Richard Foos is a mensch, goo d guy.